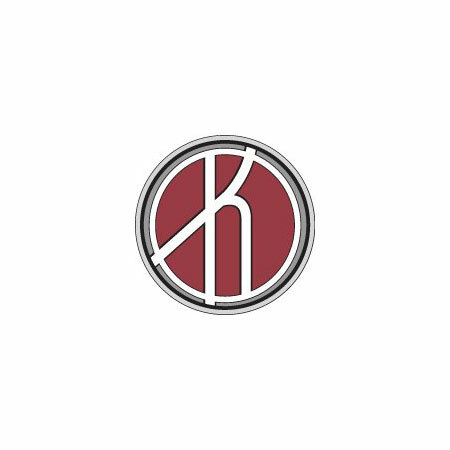 A Digital Marketing company founded by Dino Basaldella, dedicated to providing optimum search engine presence and data-driven results to business clients throughout Northern California. 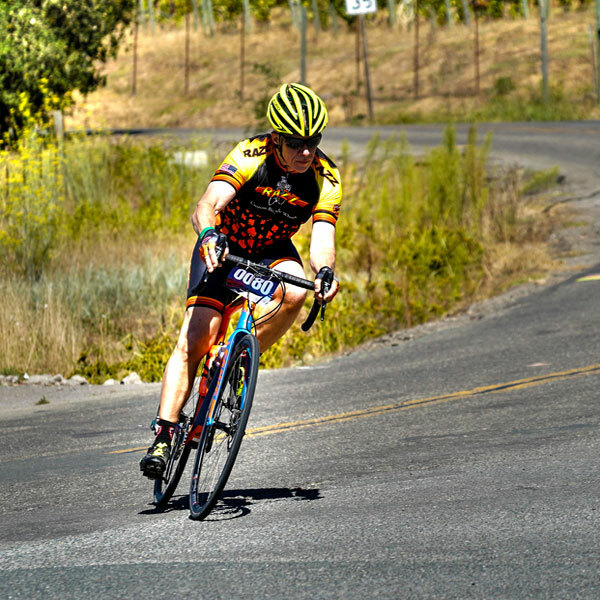 Beginning as Sonoma County Web in 2003 and offering website design and build services, Dino quickly recognized that a pretty website doesn't necessarily equate to visibility in the SERPs (search engine result pages). Hence, Sonoma County Web evolved into seoWest with a new focus on Search Engine Optimization, or making websites visible in search results for keywords related to the products, goods or services of the client's business. In 2014 seoWest became a badged Google Partner agency for Adwords advertising, allowing us to expand our Digital Marketing offerings and to demonstrate our knowledge of the Adwords advertising platform to our clients. As a Google Partner agency, we have the privilege to participate in an enormous amount of ongoing training and to have wide access to Google support, which ensures that we provide our clients with industry best practices so they achieve maximum ROI. seoWest’s mission is to create and demonstrate value to our clients. We treat each account as if it were our own, and our clients have noticed. We won't boast here, but if you’re interested in their feedback, check out these testimonials. seoWest has established solid relationships with some extremely talented individuals and companies. Although they work independently, we collaborate on client projects as the need arises. Feel free to contact them with your specific requirements. Many of our clients have come to use as result of an unfavorable experience with a web designer, hosting providor or in some cases, even due to issues with their IT person. 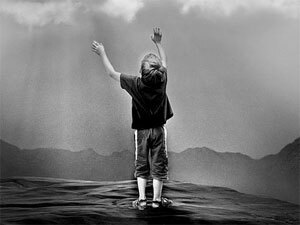 Over the years, we have come to know and collaborate with some of the best service providers in the digital landscape. For Word Press hosting, support and site development, our go-to person is Justin Korn over at www.korndev.com and for world-class IT systems and support, our choice is clearly Derick Tasker over at www.taskernetworks.com. Please feel free to contact Justin or Derick, and tell them Dino sent you! Justin provides WordPress hosting and consulting aimed at keeping clients focused on their businesses. Derick ensures your network remains reliable and your data is secure, all at an affordable rate. 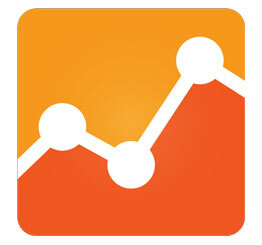 Google Analytics and Google Youtube certifications are under way and will be posted here soon. 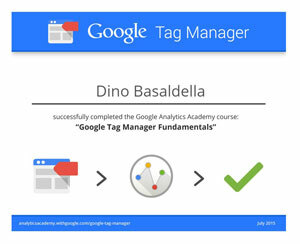 Tag Manager certification completed. Google Tag Manager is a tool that makes it easy for marketers to add and update website tags, including conversion tracking, site analytics, remarketing, and more, all without needing to edit your website code. 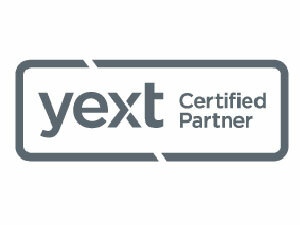 YEXT certification completed. Yext is a New York City technology company that enables businesses and Yext Partner agencies to update location-related information on multiple business websites from one centralized platform. 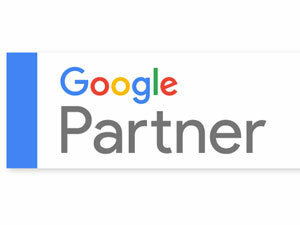 Achieved Google Partner status! This one is huge. Becoming a badged Google Partner agency for Adwords means that seoWest has met rigorous criteria established by Google, including completing two timed exams with an 80% or better score, implementing best practices on clients’ Adwords accounts, and maintaining a specific amount of client ad spend. As a Partner agency, seoWest will have access to training tools, industry insights, beta-testing of new applications and unparalleled support - allowing us to provide our Digital Marketing clients with the best service and performance available! Adwords Certification completed. Google Adwords advertising is an excellent method for businesses get their message, product or service in front of their target audience at the time they are searching. 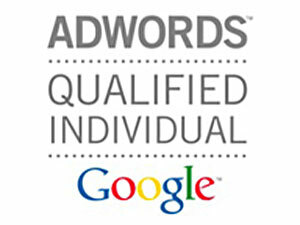 Being Adwords Certified, demonstrates knowledge and command of Adwords tools and features. When I built my first website to showcase my metal sculpting hobby in 2003, I had no idea that this would be the beginning of a new and exciting career path in website design. After two short years, I became keenly interested in making websites visible in search results, and this fascination has continued to shape my path to the present day in 2016. You will be working with a TRUSTED digital marketing agency. 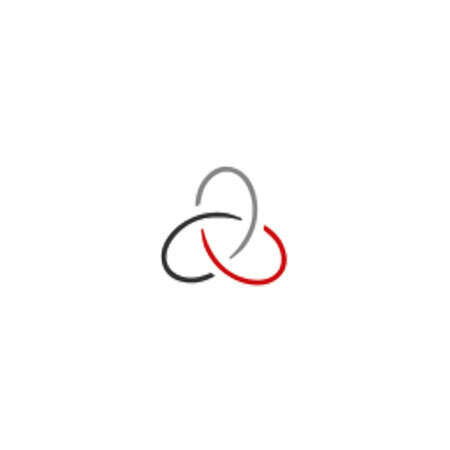 seoWest is a Google Partner Adwords agency and has met stringent requirements.